Cheerios has been a staple in my life since I can remember. So making it a staple in my household with my kids was a must. I remember giving both my daughter and son Cheerios when they were toddlers, it was one of the first solids they had ever tried. It not only helped them with their motor skills picking them up, but it was also good for them as well. I'm very excited to introduce our new little one to Cheerios as well once she's old enough. When I heard that they were bringing back their Special Edition Peanut Butter Cheerios, and this time for good, I just knew I had to get my hands on them. We weren't able to try them the last time they were out, but I knew that we would love them because my kids, husband and myself have loved every other type of Cheerios. 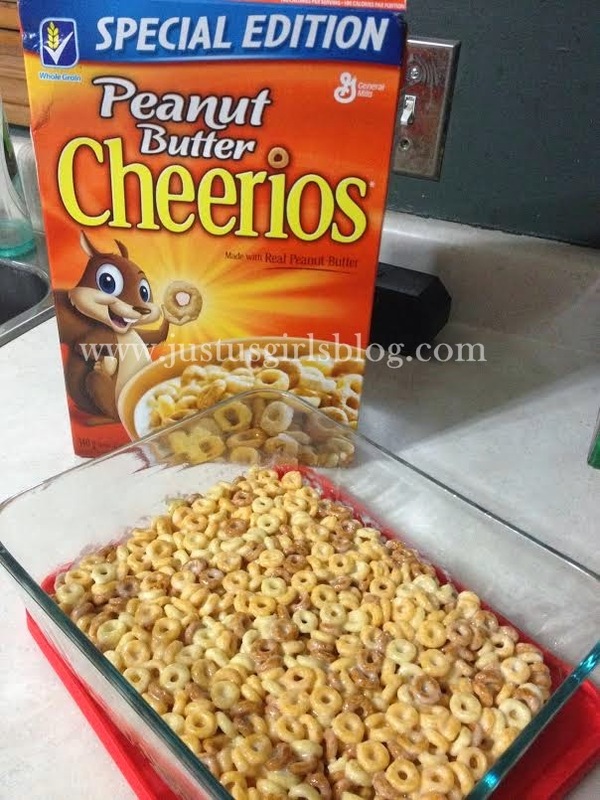 Made with real peanut butter, these Cheerios are just as delicious as they sound. The Peanut Butter isn't too over powering, so it's not a strong taste when you eat it, but it's there. I love that it's whole grain and has an excellent source of iron along with six vitamins and minerals. Cereal I'm excited to give my kids and that they love as well. If you're looking for fun ways to use with the cereal you can do what the kiddos and I did. We made cereal bars for the house and they turned out delicious! You an also use these to make bracelets, trail mix and other baked goods. All are a fun way to enjoy the new Peanut Butter Cheerios. Peanut Butter Cheerios will hit your local grocery stores this month in Canada. Be sure to pick one up for you and your family. To try out the new cereal, please feel free to enjoy 50 cents off using THIS coupon! 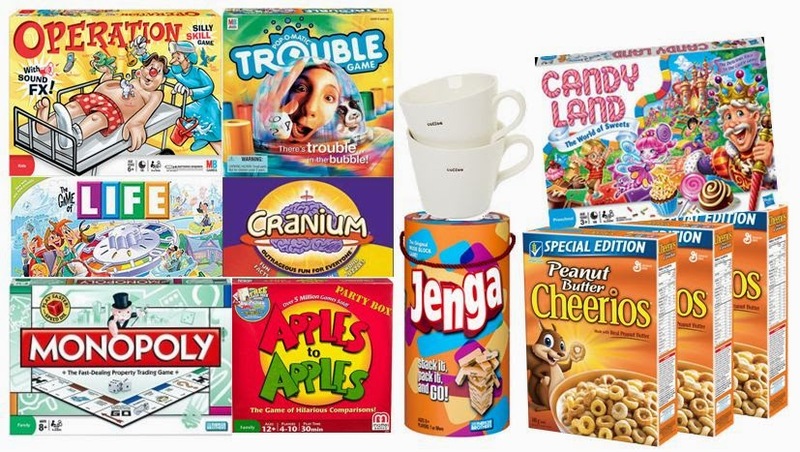 One Just Us Girls Canadian reader will win a Family Game Night Prize Pack valued at $200. 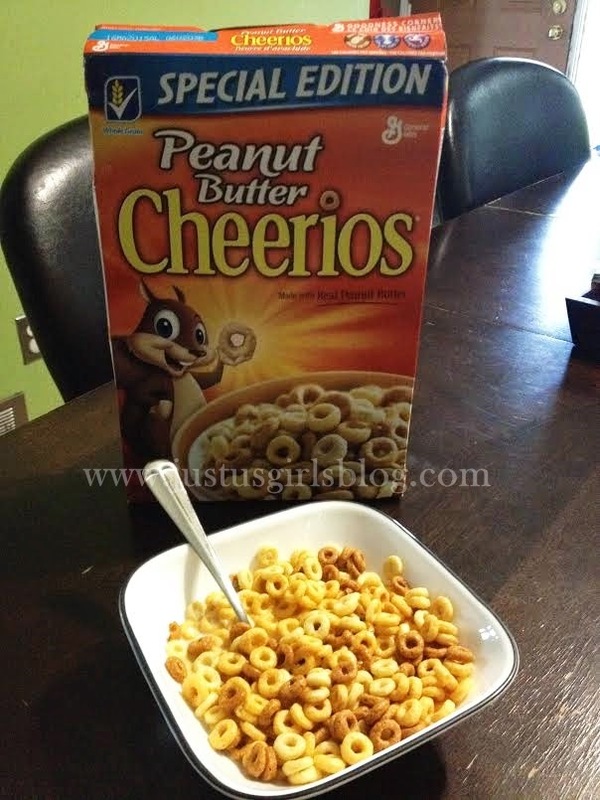 So leave a comment letting us know what you love best about the Peanut Butter Cheerios! Disclosure: All opinions are my own. I received a box of Peanut Butter Cheerios at no cost for the purpose of this review.